In this modern era, the hunt for countries that are tax friendly and easy to understand has increased drastically. This is why a lot of travelers consider Turks and Caicos as an ultimate destination for offshore companies. The island is filled with friendly people and simple rules. Conversely, the government has open arms for potential investors and individuals with lucrative business ideas. Turks and Caicos balances skilled labor with foreign investment opportunities. That is because local opportunities should be protected and preserved for a better tomorrow. This article will give you a quick review through Business License in the Turks and Caicos. It is of utmost importance that you understand the business licensing procedure before making investments. Anyone who visits Turks and Caicos with the intention of making money or lucrative profits should complete the business licensure procedures. All required applications should be filled and signed. In most cases, the business application should be a part of the island’s 45 business categories. These business categories are a part of the Businesses Licensing Ordinance. When it comes to fees, there are 66 fee classifications that control how you pay and gain the licensure. 20 classifications are reserved for Turks and Caicos Islanders or Turks and Caicos Islander controlled businesses. Once the license is obtained, the fee payable would be pro-rated towards the end of the licensing year. The final amount is defined by the annual business fee your company has to pay. Any fee should be paid promptly to avoid penalties or late payment problems. Business license in Turks and Caicos plays a very important role in business oriented development. As you obtain the licensure, you will be able to engage in many activities that would uplift your trade. After all, businesses are collection of many distinct activities. And, some of these activities require special permissions. You can learn more about these licenses from the Business Licensing Regulations. 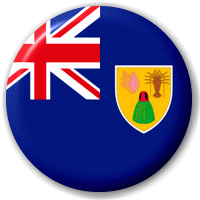 In Turks and Caicos, business license is broken into two categories. This includes belonger controlled and belonger businesses. Belonger controlled businesses are partly owned by belonger. You should identify what your business is, before applying for a license. As an applicant, you should have adequate proof and advantages in applying for a specific license. Business License in the Turks and Caicos – In addition to traditional business licensures, you should have the license to distribute, remove and sell certain products or services. There are plenty of legislations to help you with these licensure formalities.